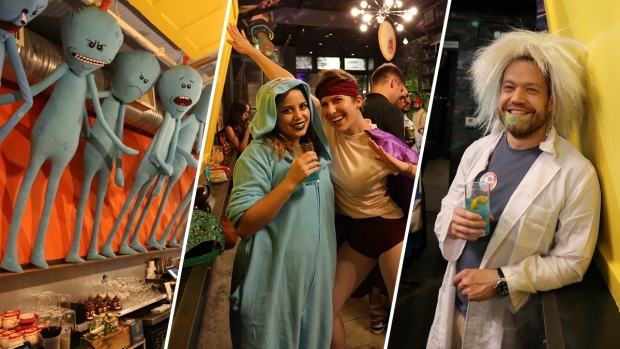 The "Rick and Morty"-themed pop-up bar that opened Thursday has been closed because of copyright issues. Drink Company, which ran the bar, said Turner Broadcasting and Cartoon Network, which airs the popular sci-fi show, wanted "exorbitant" fees to continue operating. 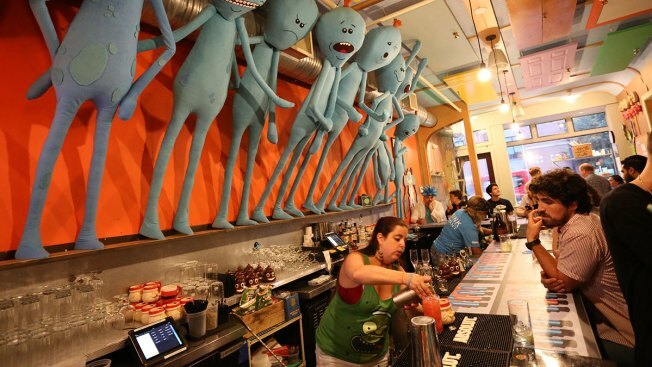 The bar features decorations and imagery from "Rick and Morty," including wall paintings and hand-sewn plush figures of characters, News4's first look showed. "Wubba Lubba Dub PUB was designed by fans for fans," a statement from Drink Company read. "We are fans geeking out." The opening of the bar was delayed for a week as the two parties negotiated. An agreement was reached, but the broadcaster reneged, Drink Company said. Turner Broadcasting did not immediately return a request for comment. Employees will be laid off, and Drink Company will have to take a massive financial hit, they said. "We are so sorry to all the fans, but we also have learned a valuable lesson: When it comes to free speech and fair use, Turner Broadcasting/Cartoon Network believes that should only be a joke on the show," the statement said. Drink Company has hosted several other pop-ups in the same space, including the incredibly popular "Game of Thrones" bar. It's not the first time a pop-up bar has faced copyright trouble. Netflix cheekily asked a "Stranger Things"-themed bar to refrain from extending their run due to copyright concerns.